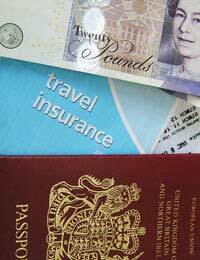 Taking along the correct travel documents is imperative for the success of any tips. Passports, visas, tickets, letters of confirmation, and a variety of miscellaneous documents are all important when women travel. A passport is proof of a traveller’s identity as well as citizenship. Passports are internationally recognised documents and are needed when entering foreign countries. In the United Kingdom, the Identity and Passport Service Agency at the Home Office is in charge of issuing passports. Most passports are issued within three weeks of the receipt of applications, though there are fast track options for special cases. Women should have their passport in their possession before booking or paying for any travel plans. Passport information must be transmitted to some immigration authorities before an individual can enter a particular country, and passports are necessary to obtain visas if required. When a woman travels it is wise for her to carry a photocopy of her passport picture page and leave a copy at home with a friend or family member. A visa is a document issued by a foreign government which entitles an individual to enter a particular country. Visas are often issued according to the purpose of an individual’s visit, whether it be for tourism, education or business, and details of how long that individual is permitted entry to that country. Some countries require visas prior to an individual arriving in the country, though the United Kingdom does have visa waiver agreements with some countries which mean that no prior visas are necessary before travel. Instead, these countries issue visas at Immigration check points when individuals arrive. Women should be careful to investigate visa requirements before travelling, though most travel agents will advise customers of the particulars at the time of booking. Before women travel they should also be sure to have their transportation tickets in their possession. If onward tickets are involved and have not yet been issued, then receipt of payments for these tickets should be brought. If tickets for onward journeys have not yet been purchased, then women should consider bringing information about their travel plans, including train or bus schedules or details of other expected flights, in case immigration officials question their plans. Women who travel should always bring letters of confirmation regarding their accommodation and any events which they plan to attend. Women travelling alone who have requested particular rooms or amenities due to safety concerns should always bring confirmation of these requests, in print, in case there is any confusion upon arrival. If confirmation comes in electronic form such as an email, then printing out these communications is a smart idea. Depending upon a woman’s particular circumstances there may be a number of other documents that she should bring with her when travelling. Single mothers will want to make sure that they have written permission to travel abroad with their children (if needed), as well as marriage and/or divorce papers if they have a different surname from their children. Mothers of adopted children may want to bring the adoption papers, particular if it was an international adoption and they are now travelling to the birth country. Women travelling for medical or cosmetic procedures will want to bring information about their health and their ability to travel. Women travelling abroad to work or study will want to bring information related to these activities including letters of invitation (to a particular job or a particular school). As a general rule of thumb, if a woman wonders if she should bring a document with her when she travels then it’s a good idea to go ahead and pack it, as well as bring a photocopy and leave a copy at home with a trusted relative or friend.